The government has cited as success the 'abolition' of transport syndicate, crackdown on gold smugglers, measures adopted to expedite development projects, curbs on foreign junkets, and measures taken to ensure transparency in the distribution of social security allowances as its major achievements. KATHMANDU, Aug 14: At a time when public dissatisfaction is growing over the government's performance, the government on Monday publicized a long list of its achievements of the past five months. The works touted as achievements include even day-to-day works of the government. 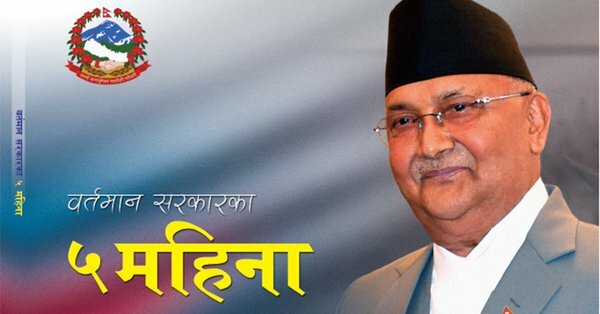 The government of Prime Minister KP Oli has cited as success the 'abolition' of transport syndicate, crackdown on gold smugglers, different measures adopted to expedite development projects, curbs on foreign junkets, and measures taken to ensure transparency in the distribution of social security allowances as its major achievements. In a 78-page document provided to the media, the government said the introduction of necessary safety measures on highways and roads and implementation of token system for immigration management, introduction of locking system to control pilferage of petroleum products and launching of integrated information system to check irregularities in public procurement as other important achievements. The government also cited the newly developed criteria for the appointment of ambassadors, authentication of consular documents within half-an-hour and end to the misuse of security personnel as other achievements. The government maintained that it had effected significant changes on the civil aviation and tourism promotion fronts. 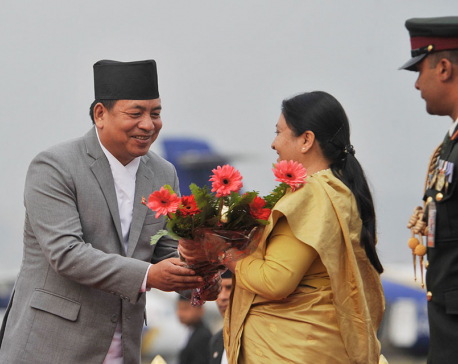 Establishment of Nepal Visit Year 2020 Secretariat to expedite promotional works, opening the Tribhuvan International Airport for 21 hours a day, revision of Air Service Agreement with Japan to operate 14 flights a week, and removal of black list placed by the International Civil Aviation Organization (ICAO) against Nepali airlines as other major achievements. Procurement of two wide body aircraft for the national flag carrier and the progress made in the construction of Nijgadh International Airport, Gautam Buddha International Airport and Pokhara Regional International Airport have also been claimed as other achievements. 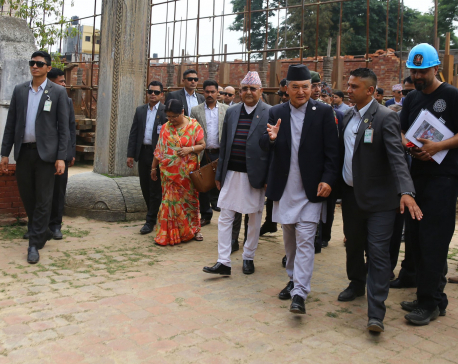 The government claimed that it was successful in maintaining foreign relations based on the needs and priorities of Nepal, while highlighting the agreements reached during the visits of Prime Minister Oli to India and China. The government has mentioned that significant reforms have been introduced in the fiscal administration and that there has been marked progress on the revenue collection front. The government cited speedy work on road and railway construction as its achievement. The operation of the Integrated Check Post in Birgunj, progress on the Kathmandu-Nijgadh Fast Track; construction of 6-km tunnel of Bheri-Babai Diversion Project, 90 suspension bridges and 44 other suspension bridges under construction; have also been listed as major achievement on the infrastructure development front. The government also stated that it had achieved significant results in ensuring self dependence in energy and making it an important source of national revenue. The laying of foundation stone for the 900MW Arun III and 25-MW solar farm have been cited as important achievements. Among other things, the government has also cited 'result-oriented work on the reconstruction of houses' damaged by earthquake as its achievement. The government has stated that housing grant contract was signed with additional 39,781 families, first installment of the housing grant was provided to 34,007 families, second installment to 2,56,399 households, and third installment was provided to 1,71774 households. Altogether 1,51,280 houses of beneficiaries were authenticated.